My hair is one of those things in life that I just never seem content with. Yes, okay I understand this is not a life-changing problem, but when my hair feels good, I feel more confident. Since cutting my hair shorter last year, you might have seen in this post that I am trying to keep my locks as healthy as I can. Even with regular cuts and reducing the use of heat on my hair, nothing could stop it going limp, greasy and seriously lack volume. I had been using the same shampoo and conditioner for a few years and had not really considered that I may be using the wrong one. It was when one of my favourite bloggers/absolute inspirations, Arielle from Something Navy, fronted a new campaign for TRESemmé Beauty-Full Volume products that I decided to try it out. If you follow Arielle (if not, you should), her hair is always amazing and – okay, I may be a marketer’s dream – but I really wanted to try it. This was mainly due to the fact that I know she is selective in brands she works with so I knew it had to be worth trying it out. These products are something different; from their Expert range, they work by conditioning first then shampooing. TRESemmé say using shampoo then conditioner can weigh down the hair so by mixing it up your hair will be more full of volume. I was slightly hesitant on this; a while ago, a brand sent me a co-washing product, using only a conditioner with no shampoo and I hated it, my hair just felt like it needed a good blow dry! 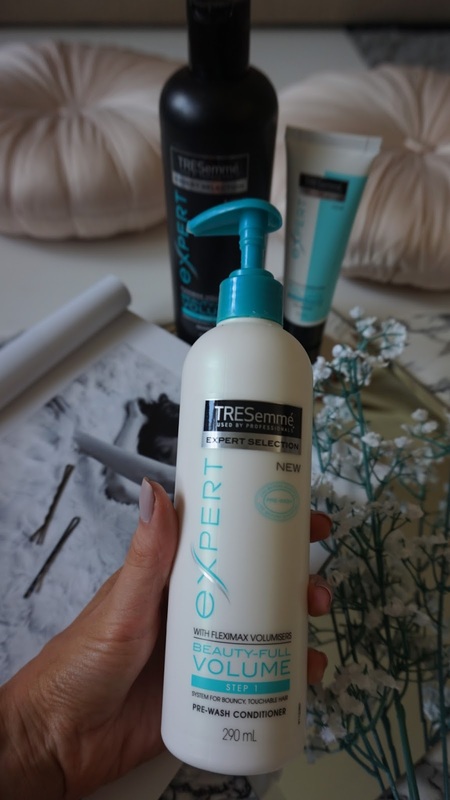 I decided to give myself a few weeks trying out the TRESemmé products to see if it made a difference. 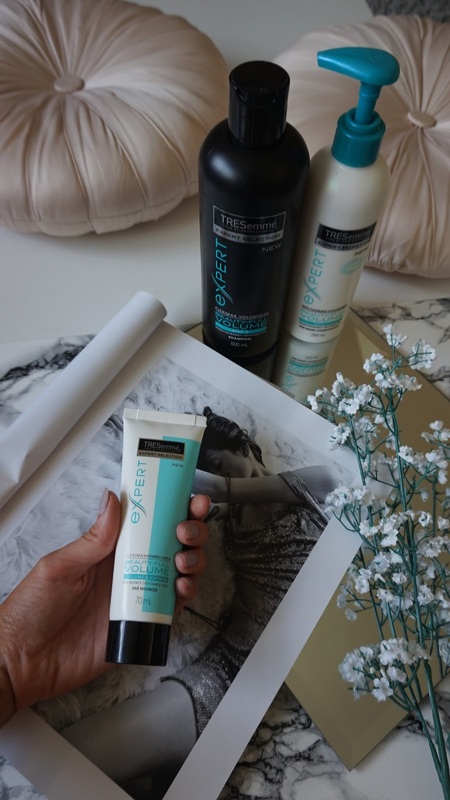 Firstly, wet your hair as normal and then apply 2-3 pumps of the TRESemmé Beauty-Full Volume Pre-Wash Conditioner and focus on the lengths of your hair. I really liked the pump application as I think sometimes the problem with conditioner is using too much product so this gives a good guide. I let this soak into my hair for around 3-4 minutes and rinse it out then wash with the TRESemmé Beauty-Full Volume Shampoo. It felt a bit weird the first few times I did this, I am just so used to the normal shampoo then condition! 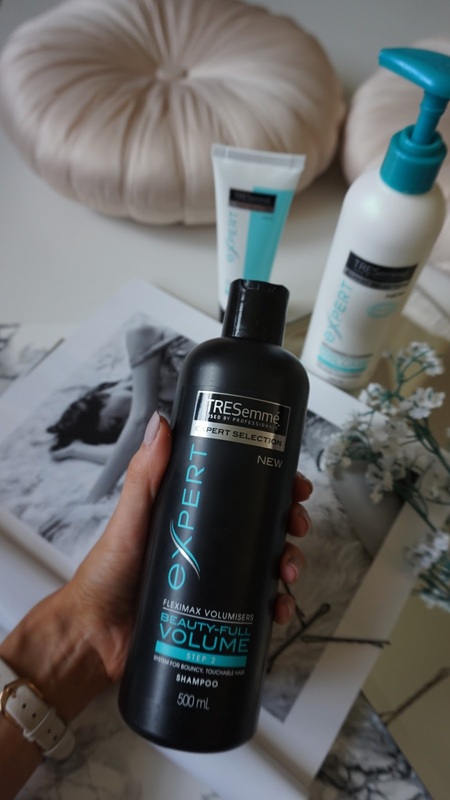 Before drying my hair, I use a small amount of the TRESemmé Beauty-Full Volume Hair Maximizer, running it through the lengths of my hair. Admittedly, for the first week I was a little disappointed. If anything, I felt my hair was getting almost less volumized and more greasy looking! Perseverance was key though; by week two my hair felt smooth, almost silky and has a bit of a bounce in it. I wash my hair every second day normally and by the second day I usually feel myself reaching for the dry shampoo but since I’ve been using this new combo, I honestly still feel confident in wearing my hair down on the second day with no Batiste! 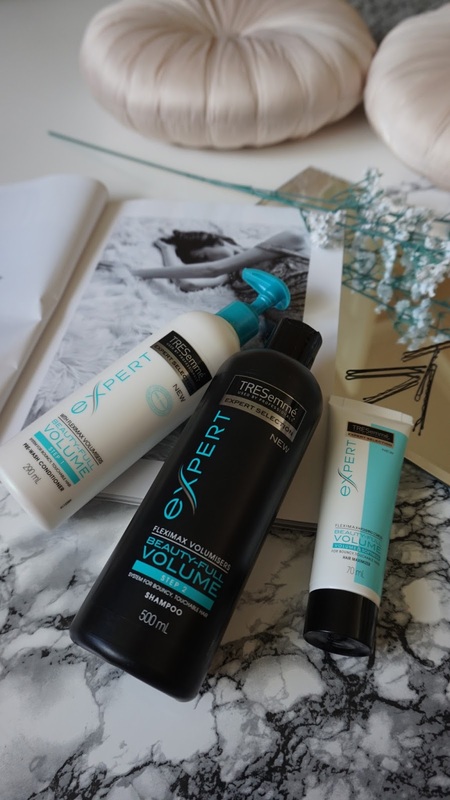 TRESemmé Beauty-Full Volume Conditioner, Shampoo and Hair Maximizer are all £4.99 each, but are £2.49 each in Boots right now. This post has NOT been sponsored, all views and purchases are my own.